Nevada Task Force 1 is deploying special components of its team to assist with the emergency response efforts in Texas after Hurricane Harvey. Eighteen members of Nevada Task Force-1 had just 11 hours to say goodbye to their families for two weeks and prepare to enter Tropical Storm Harvey’s devastating aftermath. 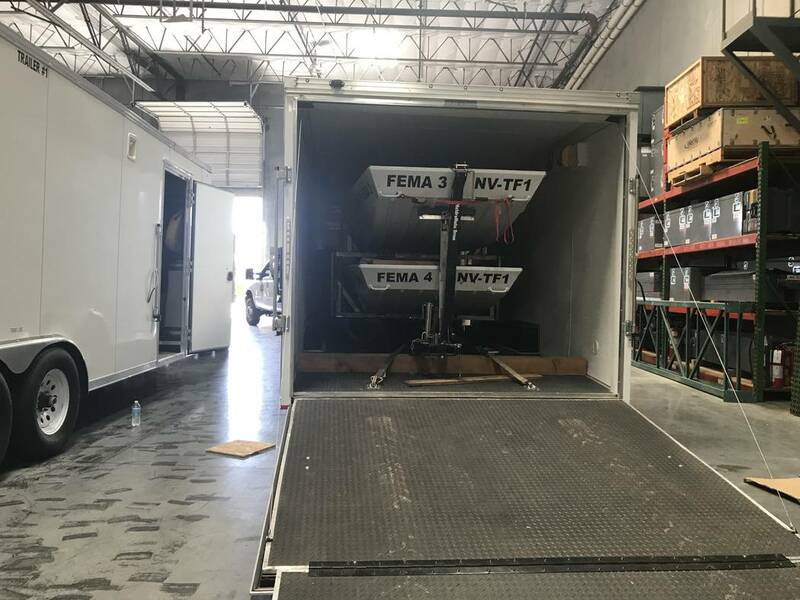 Nevada Task Force-1 is one of just 28 specialized teams in the United States to provide technical emergency response during local, state and federal emergencies, the Clark County Fire Department said. An annual Federal Emergency Management Association grant is funding the mission. Dramatic flooding is overwhelming southeast Texas in areas affected by Harvey, which made landfall Friday night as the most powerful hurricane to hit the state’s coast since Hurricane Carla in 1961. The National Weather Service on Saturday afternoon downgraded Harvey to a tropical storm as its winds diminished. But the weather service told The Associated Press on Sunday that some parts of Houston and its suburbs could get up to 50 inches of rain, which would be a record amount for Texas. 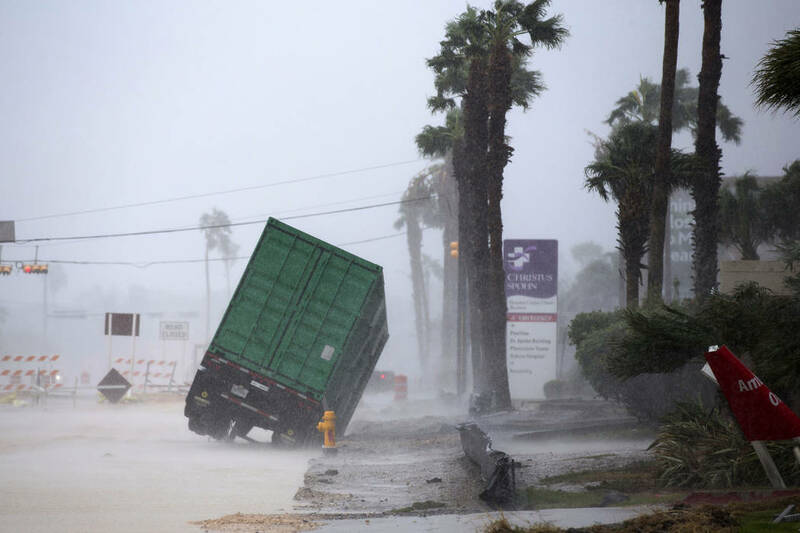 Since Thursday, the AP reported, South Houston recorded nearly 25 inches of rain, and two suburbs, Santa Fe and Dayton, recorded 27 inches. Nevada Task Force-1’s team understands the lingering threat for more rainfall and strong winds, Steinbeck said. 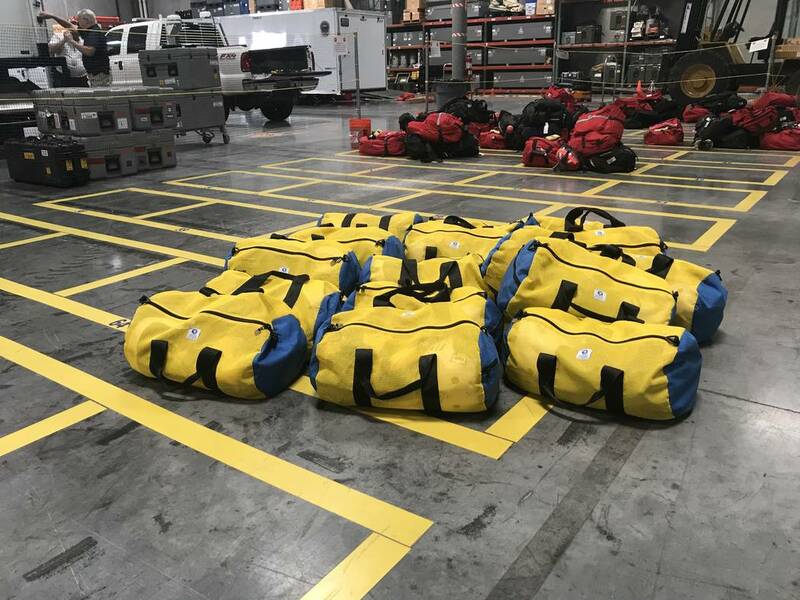 Nevada Task Force-1 received two activation letters Sunday afternoon to deploy 18 men to help with emergency response efforts after being alerted by FEMA just before midnight Sunday. A four-member team specialized in hazardous materials was activated at noon Sunday and at 2 p.m. drove to Texas with special equipment. The members will help local emergency responders prevent contamination by rinsing victims and rescuers who have entered floodwaters. By 1:30 p.m., the task force received its second call to action. This time, to mobilize a 14-person team specially designed for swift-water rescues. The team deployed at 5 p.m. Sunday. Both units are expected in College Station, Texas, by 11 a.m. Monday, where they will be assigned to specific locations, Steinbeck said. 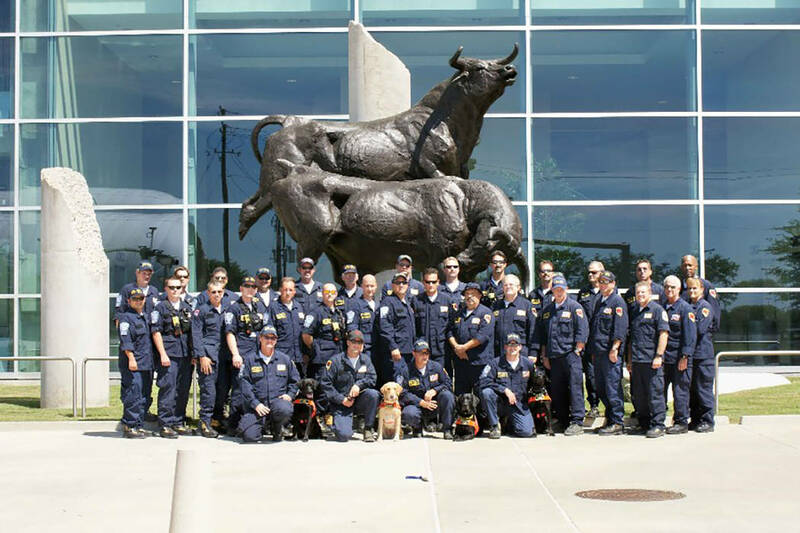 The task force, sponsored by the Clark County Fire Department, is Nevada’s only Urban Search and Rescue team. 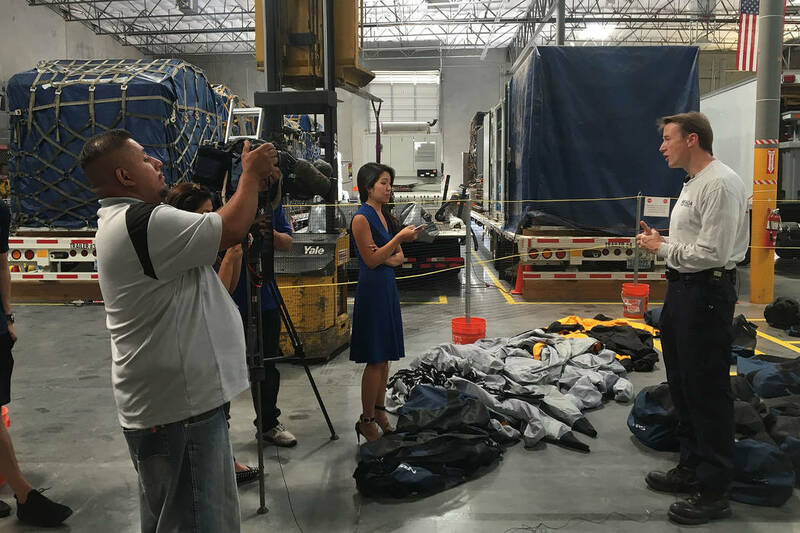 The team consists of local civilians, other partner agencies and members of the Las Vegas, North Las Vegas, Henderson and Clark County fire departments. All 28 teams receive the same grant of about $1.2 million, Steinbeck said. With the money, the task force is able to maintain a 140-person team at any given time. “We’re trained in a variety of rescue disciplines,” Steinbeck said. 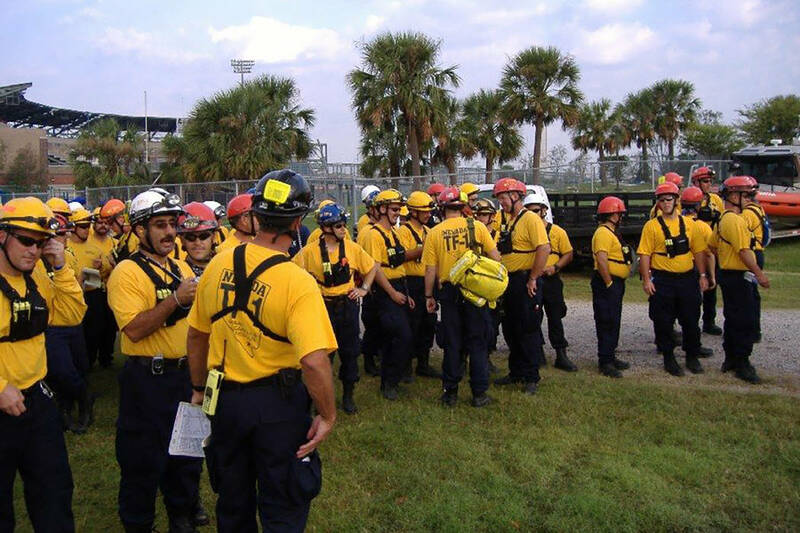 Task Force-1 focuses on structural collapse rescue efforts, but is also trained for swift-water and confined-space rescues. The group has previously been deployed to hurricanes Katrina (2005), Ike (2008) and Gustav (2008). 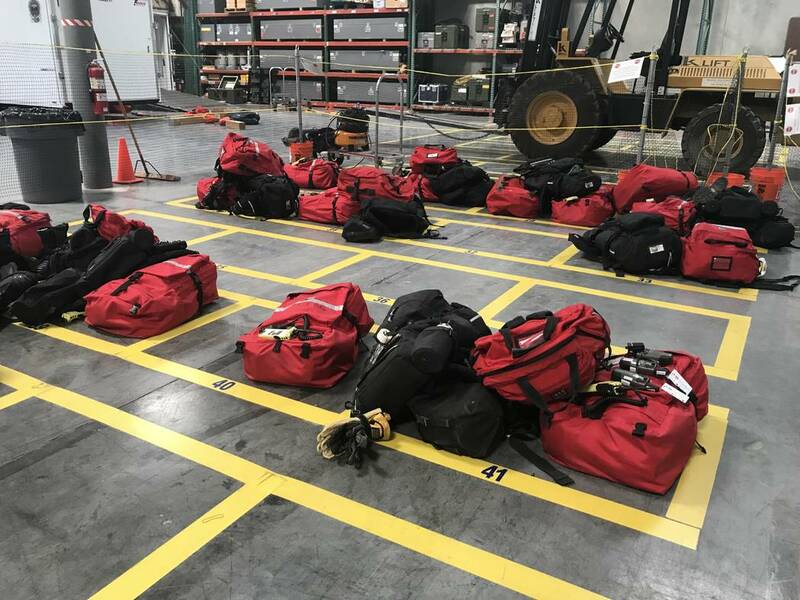 The Fire Department says the task force is “a completely self-sufficient team.” This means, Steinbeck said, that the 18 members are going south with their own boats and food and water supply to avoid burdening local rescue teams. Steinbeck confirmed that Hurricane Katrina mobilized the task force’s largest response team to date. But as the death toll remains unclear in Texas, the fire chief refused to compare this year’s efforts to the task force’s 2005 deployment to New Orleans. Contact Rio Lacanlale at rlacanlale@reviewjournal.com or 702-383-0381. Follow @riolacanlale on Twitter. Review-Journal writer Matthew Crowley and The Associated Press contributed to this report. The Red Cross is sending hundred of aid workers and is raising money to help people displaced or otherwise affected by Tropical Storm Harvey. In a statement online, the agency said it on Friday sent trailers loaded with enough cots, blankets and supplies to support more than 20,000 people. The Red Cross added that activated 40 emergency response vehicles and is coordinating responses with government officials and community partners in Texas and Louisiana. To donate $10 to the Red Cross’s disaster relief fund, text HARVEY to 90999, call 1-800-733-2767 or visit redcross.org.